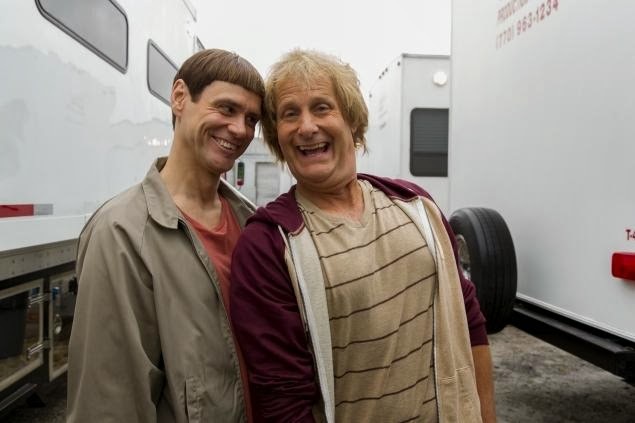 Finally, after some funding complications, the true sequel to Dumb and Dumber has began production. 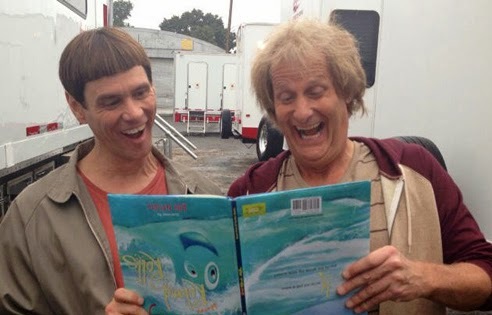 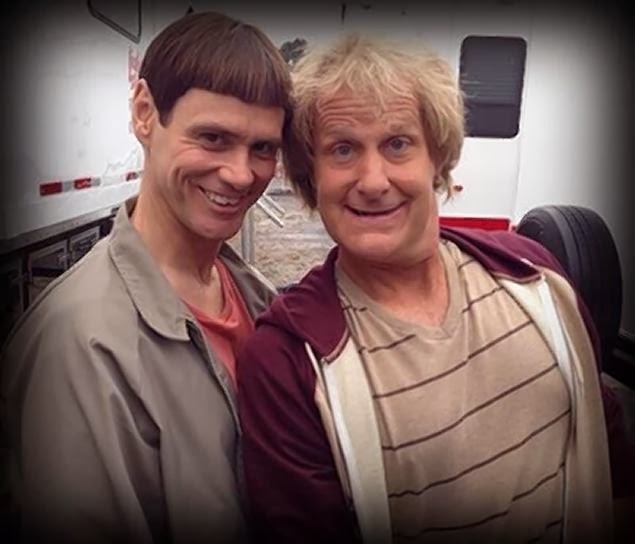 It's exciting finally seeing Jim Carrey and Jeff Daniels dressed in character. 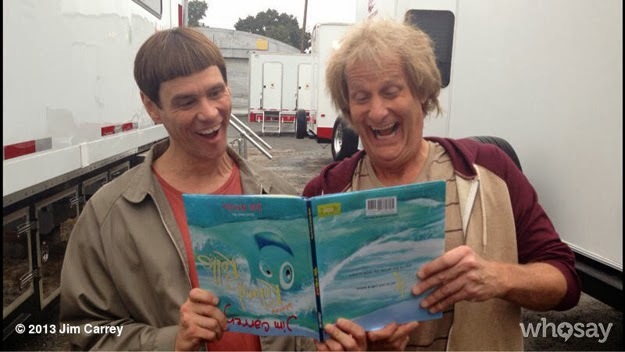 The highly anticipated sequel hits theaters next year in 2014. “There are some things that’s we’re going to do in Dumb and Dumber To that make the toilet scene [in the original] seem lame,” Jeff told us, adding that he can’t wait to work with “comedic genius” Jim once again.